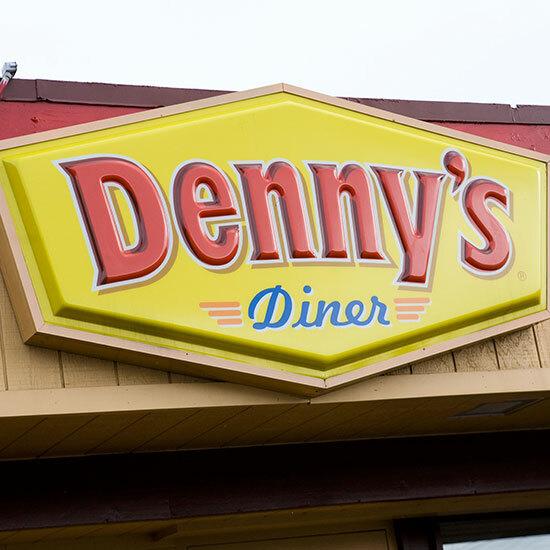 As of 5 a.m. this morning, Manhattan—that tiny island that holds 1.6 million people—received its first Denny’s. Despite having 1,680 locations covering every state and the District of Columbia, the 60-year-old diner chain hadn’t yet been serving anywhere in NYC. New York City, and Manhattan especially, is such a large center of commerce it seems every store wants a location in the Big Apple. Times Square alone is overloaded with chain eateries, from McDonald’s to Applebee’s to Red Lobster to Planet Hollywood…the list goes on and on. Still, a few of the largest and best-known restaurant chains have managed to buck the trend. Here are seven places you can't visit in Manhattan, which, depending on your tastes, may or may not be a good thing. What’s the largest restaurant chain without a New York City location? That distinction goes to Sonic Drive-In, America’s 13th-largest chain. Despite having 3,522 US locations as of 2013, the drive-up burger spot has no locations anywhere in NYC. Probably because everyone uses the subway. Got a craving for roast beef on a bun? If you’re thinking Arby’s, be prepared to head out to Queens. America’s 14th-largest restaurant chain (3,269 locations) doesn’t have any Manhattan outposts. In the mood for casual dining? Chili’s ranked No. 3 in sales in the casual-dining segment in 2011, but you won’t be able to find any of their baby back ribs in Manhattan. They did, however, decide to put one of their 1,549 locations at JFK airport…in Queens. New York City is known for its cheesecake, so maybe The Cheesecake Factory decided the competition was a little too tough. The company operates 162 restaurants in 36 states, the District of Columbia and Puerto Rico, but they don’t have any locations within the NYC city limits. Panda Express may call themselves “America’s favorite Chinese restaurant,” but the country’s largest Chinese food chain (with 1,586 locations) is nowhere to be found in Manhattan. Your best bet is to head up to Fordham University in the Bronx—which, actually, sounds about right. Speaking of Chinese food, don’t try to hit up America’s largest “full service, casual dining” Chinese restaurant chain in Manhattan, either. P.F. Chang’s has about 200 locations spanning across the US, but none in New York City. So you couldn’t find that Sonic you were looking for. Hopefully, Red Robin isn’t your second burger choice. Only two of their nearly 500 locations are in New York, and we hate to break it to you, but they aren’t in Manhattan. One is in the Bronx and one is in Staten Island. See you on the ferry! Related: Is a 90-Calorie Cinnabon Still a Cinnabon?